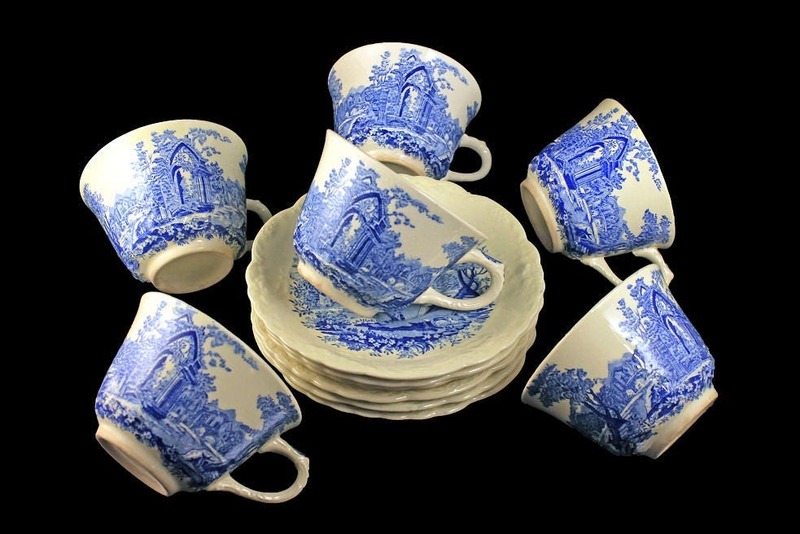 A gorgeous set of 6 cups and saucers by Taylor Smith and Taylor (TS&T). The shape is called Fairway and the pattern is called English Abbey. 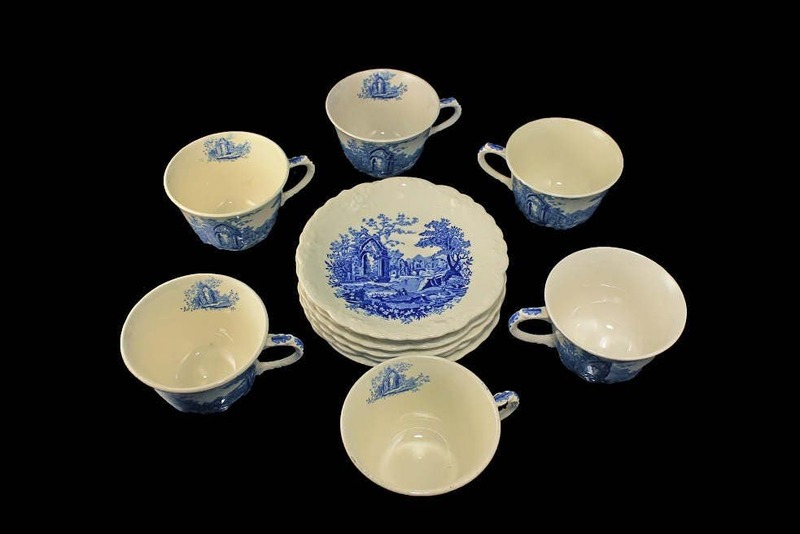 The bowls are embossed with a floral design and the pattern is English Country Scenes in blue against a cream colored base. These are very hard to find. Perfect for an afternoon tea on the veranda, porch, or patio. 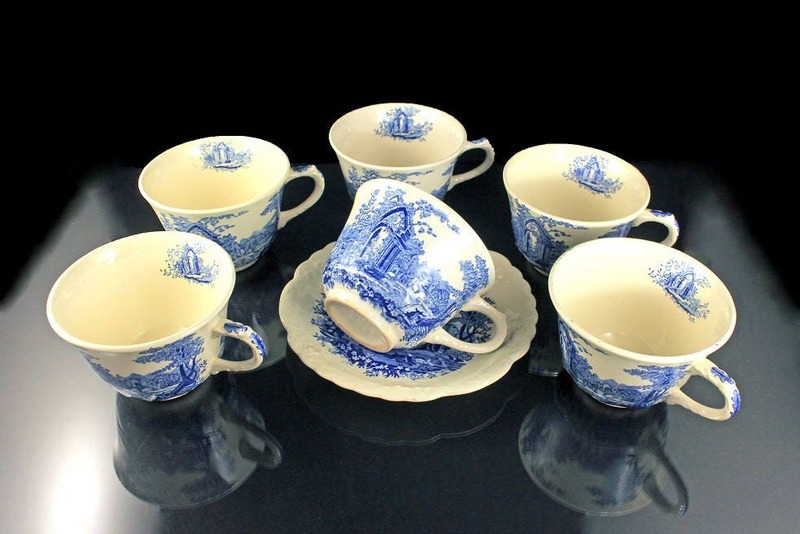 These cups and saucers are in very good condition. There are no chips or cracks. 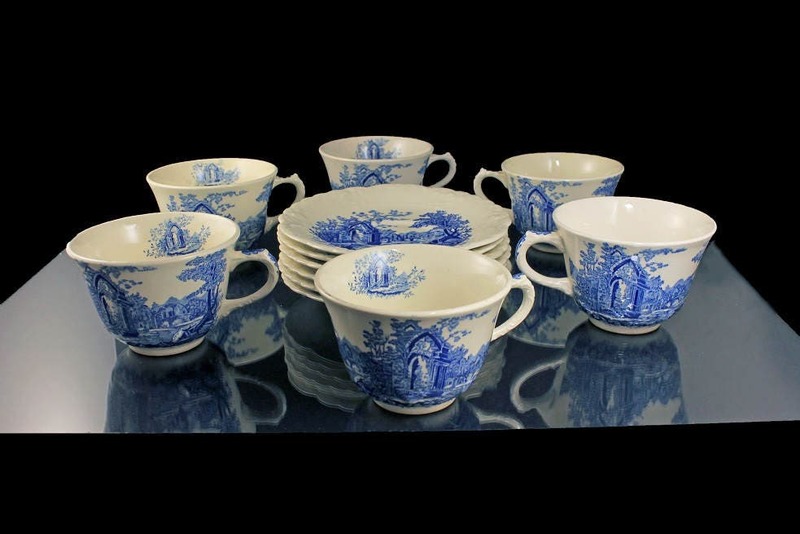 There is crazing on all of them and the inside of one cup does have a brown stain where water got through the crazing and into the porcelain. 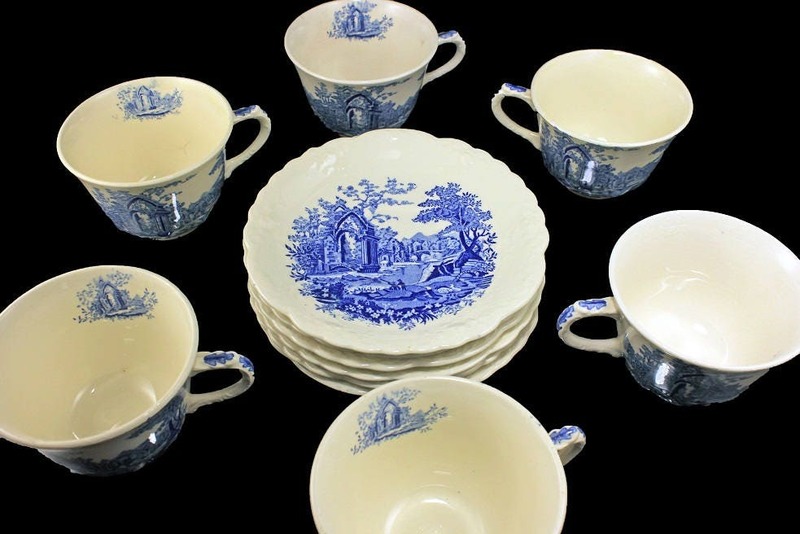 To find 6 cups and saucers of this pattern with no chips or cracks is unusual.